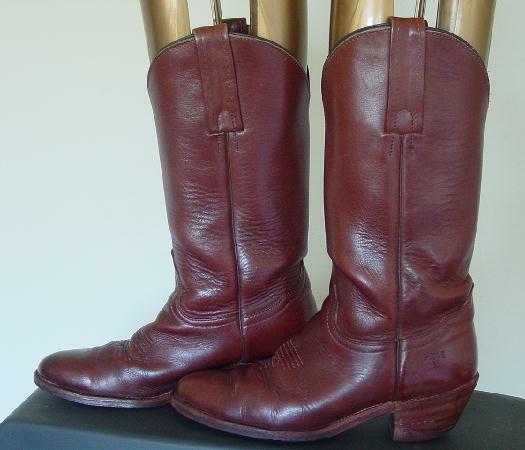 These vintage reddish saddle tan leather boots are by Frye Handcrafted since 1863. 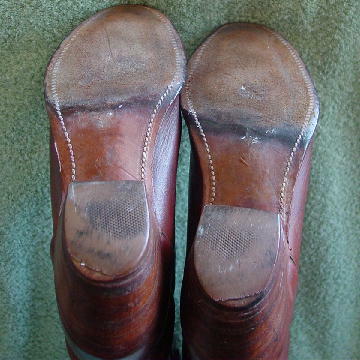 They have leather soles and wood stacked heels (which will need new heels). The vamps have 7 horizontal lines and 2 three looped stitched designs on each. They also have wrinkles on the vamp. There are some scuff marks, dark marks, and a couple of scrapes. They have light tan leather linings and reinforced bootstraps, and were made in the USA. 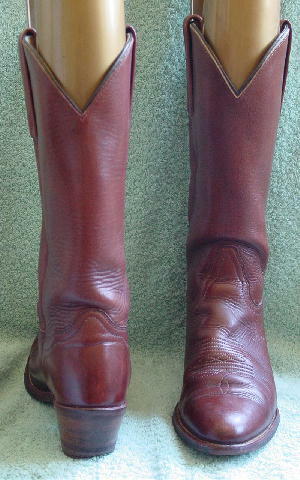 Frye and the logo are etched on the inner back side. They're from a stylist's inventory, and were worn a lot in several movies. outer top center to bottom of heel 13"